Dr. David Downs has been providing his community with the highest quality of dental care for over 30 years. He is a graduate of Dorsey High in Los Angeles, Claremont Mckenna College and UCLA School of Dentistry. Because the art of Dentistry is constantly changing, Dr. Downs understands it is his obligation to consistently update his office with the latest technology and techniques. In addition, he and his staff partake in continuing education courses annually to be at the forefront of dentistry. Dr. Downs is known for his gentle, skilled hands and wonderful sense of humor by all of his patients. In their smiles shines the passion that lies behind Dr. Downs’s work. He is an active member of the California Dental Association, American Dental Association, Angel City Dental Society and the Western Los Angeles Dental Society, where he serves on its board as Treasurer, and will hold the position of President Elect in 2019. He is also an esteemed member of the WLADS’s Peer Review Committee. Dr. Downs is laser and Invisalign® certified, and thoroughly trained in soft tissue management, pain management, and implant restorations. Dr. Downs' practice philosophy cannot be captured in words, instead it’s experienced through the warm ambiance that radiates through the patients and office itself. His goal is to bring back that radiant smile by providing exceptional chair-side manner and precision technique in every treatment. He offers a variety of procedures, from restorations to a total smile makeover. Our practice understands that your privacy is of paramount importance, and your time is valuable. Both of these will always be treated with the utmost consideration at our office. Dr. Downs believes that when you choose him as your dentist and our office as your dental home, we are entering into a long-term relationship built on mutual trust and shared respect. 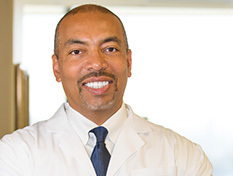 In his leisure time, as an L.A. native Dr. Downs enjoys cheering on his beloved L.A. Lakers, traveling, playing golf and spending quality time with his friends and family. He also considers himself a top notch movie and restaurant critic.